The airport Rijeka Krk is situated 30 km from the centre of Rijeka on the Island Krk. Flying to Rijeka airport is the perfect choice for those travelling to the islands, Krk, Cres, Losinj and of course for those heading for destinations in the Kvarner bay area. Getting to and from the Rijeka-Krk airport Transfer, The easiest and most comfortable way to travel from the airport to Rijeka or other destinations in the area, is by pre-booking a transfer. A driver will then be waiting at the airport upon your arrival. You can see prices and pre-book a transfer to Rijeka here, and to almost any destination in Croatia here. By rented car, if you drive from the airport and are heading for Rijeka or other destinations at the mainland you have to pass the bridge to the mainland which will cost you 35 Kuna. 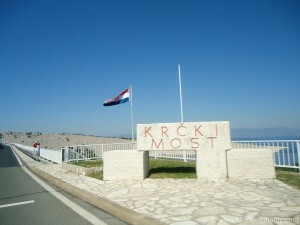 If you are travelling to Island Cres or Losinj, you will have to drive to Valbiska where you have frequents connections to Merag on Island Cres. If you haven’t rented car yet, you can find a large selection of car rental offers from the Rijeka airport here.